Suddenly I am being emailed with news of interesting videos, and I’m very glad about this. Here‘s the best video I’ve been emailed about so far. 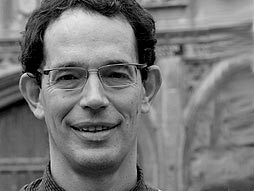 It’s a talk by Cambridge Maths Professor Neil Turok about his African childhood, his research work at Cambridge, and about AIMS, the African Institute for Mathematical Sciences. As you can see from all the categories this posting has at the bottom, he covers a lot of ground. There could have been more. Favourite Turok quote: “We want Africa to be rich.” Once again, there’s that enterpreneurship vibe. I’m not stuffing that word into his mouth. He used it. Strongly recommended. And, I would say, a perfect example of how valuable it is to make progress by doing the very best you can for your best students, and not just the best you can for regular students. It’s also a first class example of seizing an opportunity instead of just moaning about problems. Welcome to Oaksterdam University, a new trade school where higher education takes on a whole new meaning. The school prepares people for jobs in California’s thriving medical marijuana industry. For $200 and the cost of two required textbooks, students learn how to cultivate and cook with cannabis, study which strains of pot are best for certain ailments, and are instructed in the legalities of a business that is against the law in the eyes of the federal government. “My basic idea is to try to professionalize the industry and have it taken seriously as a real industry, just like beer and distilling hard alcohol,” said Richard Lee, 45, an activist and pot-dispensary owner who founded the school in a downtown storefront last fall. America. How can I ignore it? One of today’s Friday Ephemera.